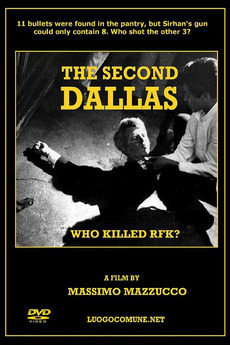 Massimo Mazzucco's film on the Robert Kennedy Assassination is a retelling of the events surrounding the controversial event. Was the killing the work of a lone gunman or were there more people involved? Mazzucco's film is a breezy 54 minutes (the 75 minute run time on the DVD case is because the DVD includes a selection of RFK speeches). The film hits all of the major points that have gotten under people's skin over the last 47 years, from there being too many bullet holes, angles that make no sense, people overheard claiming responsibility and the destruction of evidence BEFORE the trial, this is a film that will make you wonder what exactly happened in that kitchen pantry all those years ago. While Mazzucco has made a great primer on the conspiracy he has done so by reusing tons and tone of old footage. Being a conspiracy nut for years I've seen most of this footage before. Some of it is so familiar that it was used in several other documentaries. That doesn't make the film a bad one however it makes it less interesting to anyone who has been delving into the RFK murder. On the other hand if you don't know anything about what happened or may have happened this is a good place to start- or reaquint yourself with the details.